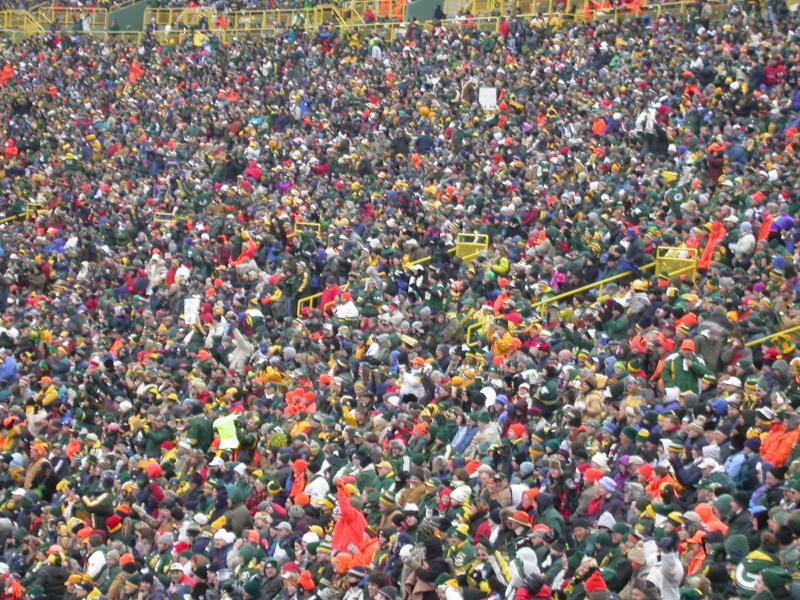 During the sweltering “dog days” of summer, thousands of pasty white, obese Packer fans braved the heat, and flocked to Green Bay last weekend to catch a glimpse of their beloved NFL franchise gearing up for the oncoming 2008 season. The garb of choice for the pudgy, middle-aged, goatee encrusted fanboys in attendance was 48″ waist cut-off jean shorts, and an XXXXXXXXL Favre jersey, emblazoned with the Packers trademark “vomit green,” and a mixture of “piss gold” and yellow mustard stains. Patty Kaminskiski, a 42 year old housewife from Osh Kosh, WI, got more than she bargained for at her first practice. The 380 lb. mother of 6 showed up to camp with intentions of taking pictures of Packer players, but ended up beating out starting Green Bay tackle Chad Clifton for a roster spot. An ecstatic Kaminskiski took off her helmet long enough to tell 4HT reporter Tommy Rico, during her cigarette break, “I dominated today, completely and utterly. I pancaked Aaron Kampman 4 times during “Hamburger Drills,” and really impressed coach. I can’t wait to take on stars like (Julius) Peppers and (Michael) Strahan, while protecting my lord and savior, Brett Favre.” Rico didn’t have the heart to tell Kaminskiski Strahan and Favre are retired. Another fan in attendance was also granted the opportunity of a lifetime. 59 year old William “Red” Redinski, fresh off his third successful triple bypass surgery, took on Green Bay coach Mike McCarthy in the cermonial “gravy bong-off,” which pits a Packer coach against a fan every year to commemorate the start of training camp. Redinski finished 3/4 gallon of the thick, brown, salty goodness, while an obviously out of shape McCarthy knocked back only a paltry 1/2 gallon. An embarrassed coach reluctantly admitted after the pitiful performance he was “only consuming 50,000 calories a day” during the off-season, and fans responded with a menagerie of boos and taunting laughs. All in all, the weekend proved to be a hoot for all in attendance. Only 23 people died of congestive heart failure this year, which is 1/3 of the last decade’s average. Chants of “We Want Brett, We Want Brett! !” were replaced with “We Want Bacon, We Want Bacon! !” after news of the trade finally spread throughout the practice facilities. Some fans went as far as to burn their #4 jersey at camp as a symbol of protest, and all things pointed to a riot marring the fun-filled weekend, but order was mercifully restored when the Krispy Kreme doughnut guy showed up. 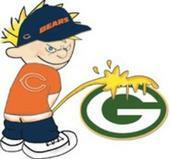 So, Packers fans are fat. Got it. Remember when Chris Farley would go “Da Bears!” and then choke on a steak and simultaneously have a grease induced heart attack? Yeah, it’s just as easy.